Our Stormin Norman (SAR 7/23/16 – Race #2 – #7 – 1 1/16 on the turf) = Julien Leparoux in the irons, and his mount was bumped soundly and squeezed back at the start. This son of Blame will have much more to offer with a cleaner trip and hopefully the odds board will be very kind for some payback. Bronson (SAR 7/23/16 – Race #3 – #4 – 6f on the dirt) = John Velasquez in the saddle for Todd Pletcher. This was the (G-3) Sanford Stakes, and this son of Medaglia d’ Oro broke his maiden at Monmouth Park in fine fashion as he stepped up the ladder. – It was a compact field of five and he was pinched back at the start and never got back into stride. – Team Pletcher will work out the kinks, and you can bet he’ll receive some strong gate work to have him ready to roll. Recepta (SAR 7/23/16 – Race #10 – #7 – 1 1/8 on the turf) = Johnny Velasquez was the pilot and his filly came in 1/1 (ITM) over the Saratoga strip. She was three wide on the first turn, three wide on the far turn, and four wide into the stretch to be beaten by a nose. – She had a great sightseeing trip of The Spa, and dollars to donuts next out she’ll be more focused on getting her picture taken. Grassarla (SAR 7/24/16 – Race #4 – #8 – 6 1/2 f on the dirt) = Luis Saez in the saddle for Chris Englehart. This daughter of Bluegrass Cat was 2nd in her first attempt getting off slowly brushing against the gate upon leaving. – She was the odds-on favorite this day and had the same troubles when they sprung the latch. Saez did his best to help her overcome the tardy beginning, but it was just too much to overcome. – If she comes out clean, you may cash at a very handsome price. Llanita (SAR 7/24/16 – Race #6 – #3 – 1 1/16 on the turf) = Irad Ortiz had the call for Chad Brown, and this daughter of Rock of Gibraltar is bred to love the greensward. – Since she shipped in from France last September, she has been a fast closing machine. Her connections are red-hot and it is only a matter of time before she sees the winner’s circle. Romans Paradise (SAR 7/24/16 – Race #11 – #4 – 1 mile on the turf) = Javier Castellano was aboard, and this was his second start of the year. He is 2/2 (ITM) at Saratoga and was taken up sharply to avoid running up on the heels of rank horses. Once he found clear sailing, he was a day late and a dollar short getting his momentum rolling. – Maybe a little better trip may be just what the doctor ordered. The opening of “The Spa” should be a national holiday, or at least a day off for horseplayers. They’ve been opening the doors since 1863, exactly one month after the Battle of Gettysburg. If you listen closely you may hear the sounds of past champions thundering down the stretch. But you’ll have to find out for yourself and add this track to your racing bucket list. Want to learn how to “Beat Saratoga?” Download this report today. Langham (7/15/16 – DMR Race #10 – #9 – 1 mile turf) – Hall of Fame rider Mike Smith up for John Sadler and this first timer made an explosive run on the far turn into average fractional times. Keep an eye for this guy next out as I think he’s going to get better with every outing. 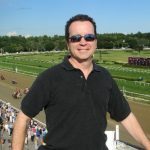 Bobby on Fleck (7/9/16 – BEL Race #1 – #5 – 6f on the main – Irad Ortiz was the pilot for Chad Brown and these guys do very good work as a team winning (27%). This first timer was pretty impressive and deserves a good play right back. He came into the race with a resume of bullet works and drew off strongly at the 3/16 th’s pole to win by six lengths. He may be a nice play right back moving up the ladder. Eloweasel (BEL 7/9/16 – Race #2 – #6 – 1 mile turf) Manny Franco’s mount broke open the gate prior to the start and just stood there. Either the asst. starter gets a raise, or she just wasn’t ready this day. Once the gates broke she was two wide early and ventured out in the six path rounding the far turn. We’ll give her a pass on this one and look for a blockbuster price next out. Think of this as a teaching moment that will pay boxcars ! Economic Model (BEL 7/9/16 – Race #7 – #6 – 1 mile dirt) – Irad Ortiz and Chad Brown once again and this son of Flatter came in 4/5 ITM travelling over four different tracks. Ever since the dismal display in the (G-2) Tampa Derby, he has come back to reel off to straight wins. The barn looks to have her figured out and will be pointing to the Spa where he broke his maiden last year. Good things are coming from this guy. Indygita (BEL 7/16/16 – Race #2 – #4 – 1 mile turf) – Irad Ortiz in the irons and his filly stumbled leaving the starting gate and was forced out wide at the 1/16th pole. Look for this gal to improve and get a better trip next out. She Doesn’t Mind (BEL 7/17/16 – Race #8 – #9 – 1 mile turf) – Javier Castellano in the saddle for Chad Brown and this race appeared to have her making up good ground. Go back and take a harder look and you’ll see she was forced wide into the stretch and while trying to find her best stride was held up and blocked down the lane. She should give the fits next time out. Here are some runners you can keep watch to start building your Belmont Stakes bankroll. Don Camillo (5/8/16 – Race #7 – #3 – 1 1/16 on the inner turf) – Javier Castellano was aboard and he came out bumping like a pinball when they sprung the gate latch. Once settled, Castellano started making a solid move only to run completely out of gas. – Maybe a cleaner trip with a class drop may be just what the doctor ordered. Irish Actor (5/18/16 – Race #4 – #8 – 6f turf) – Cornelio Velasquez in the irons for Linda Rice, and this daughter of Patriot Act was making her first start in 7 months. She was dead last and came weaving through traffic for a solid fourth place effort over the quick turf. Give her a little more ground or a cleaner trip and it could be just what the doctor ordered. Promotional (5/18/16 – Race #8 – #5 – 1 1/4 turf)- rider Junior Alvarado had the call for the “mad genius” Thom Proctor. She had the best of trips and came flying like a down hill train. Once she arrived at the 1/8th pole, she was forced to take up sharply taking away all momentum. Sugar Kate (5/21/16 – Race #5 – #7 – 1 1/16 on the main)- Channing Hill aboard for trainer Tim Glyshaw, and his mare was in tight and pinballed around at the start. Once she settled out and regained her momentum, she was forced to angle out and forced to steady once again. – Keep her in the clear and Team Glyshaw gets their picture taken. Blast (5/6/16 – Race #2 – #2 – 6 1/2f) – Corey Lanerie in the irons for Eddie Keannelly and this ultra-tough runner was scooting right up the inside rail and was shut off. The rider did an excellent job keeping him rolling, but shut-off still the same. There was an objection into the race and this horse-for-the-course filly was a bridesmaid after the decision was made. Next up she’ll probably take a new path right to the winner’s circle. Lewis Bay (5/6/16 – Race #11 – #3 – 1 1/8) – Irad Ortiz in town to ride for Chad Brown, and this gal looked like a sure fire winner staying on the rail waiting a glimpse of daylight. I would have doubled down on her if possible by looks alone, but when she had her seem. She just faded down the lane. I don’t know if she couldn’t match Cathryn Sophia, or it was just a bad day. Either way, she’ll get my bankroll play next out. Harmonize (5/6/16 – Race#10 – #1 – 1 1/16 on the turf) – On the Kentucky Oaks undercard, Junior Alvarado was up for Bill Mott, and she stumbled badly at the start on this day. She made a nice four wide move to get minor awards, but the gate break took quite a bit of momentum away. – Look for a huge turf effort next time to the races. Dynamite Stick (5/18/16 – Race #5 – #7 – 5f turf) – Marcelino Pedroza for Mike Lauer, and his mount tracked in the 2nd flight and had to take off heels at the top of the lane. He picked it up smartly and came rolling late to lose by a dirty nose at the wire. Misdeed (5/8/16 – Race #8 – #7 -1 1/16) – Santiago Gonzalez was aboard, and his runner saw every inch of the track on this day. – He was three deep from the start, five wide on the second turn, and three wide down the lane. – Take away the extra 1/4 mile, and you will see a different runner. Big Gillette (AQU Race #4 – 3/12/16 – #2 – 1 mile and 70 yards dirt) – Kendrick Carmouche had the assignment for Rudy Rodriguez and his mount bobbled badly at the start and he recovered quickly to assume the lead and set the pace. The pace was quick and he tired down the lane to finish 3rd. A clean trip makes him hard to catch next out. Send it In (AQU Race #5 – 3/12/16 – #1 – 1 mile and 70 yards dirt) – Manny Franco in the irons for Todd Pletcher. This son of Big Brown stumbled at the break, and immediately picked up his game and set a solid pace. He was the winner of this race, and you’ll want to keep him on your “play right back” list as he showed incredible maturity recovering and getting his mind on business. Best Play (AQU Race #7 – 3/12/16 – #2 – One mile dirt) – Manny Franco in the saddle, and his mount was knocked around quite a bit after the gate break. He recovered, and showed a nice closing punch going three-wide around the far turn. I like the rider, and the trip shows good promise for players at the windows next up. Skippy is Back (GP Race #2 – 3/12/16 – #5 – 6f dirt) – Vicente Gudiel was the pilot, and filly was pin-balled around leaving the starting gate. The rider got his filly to settle nicely and made a very nice four wide move around the entire far turn to show good late punch at (7-1). You may see some nice value here next time she takes the track. Put It Back Jack (GP Race #5 – 3/12/16 – #6 – 6f dirt) – Eddie Castro’s mount was bumped around leaving the gate and pressed a solid pace. He was a “beaten favorite” this day after drawing off by three lengths, and punters from around the globe like to hammer runners looking for some pay back next up off this angle. As you watched the last of the turkey scraps turn into doggie treats, you sit back with a grateful smile on your face. Not only will this be the last you’ll see of turkey until Christmas, you had a mega-dose of watching the two-year-olds strut their stuff around the country. It was that kind of weekend where we get a small glimpse of what awaits in 2016. – It won’t be long now until you’ll start hearing the names of your favorite three-year-old stakes start going to post. Now before you start drifting off into your tryptophan-turkey coma, take a gander at the runners listed below. They had a tough day at the races, and need an extra helping of keeping your eyes peeled when they make their way to the starting gate. Scout it Out (Aqueduct – 11/18/15 – Race #7 – #2 – One mile on the turf) – RIDER Luis Saez in the irons for Wesley Ward, and this pace setter did everything right. She was 10-1 and cut the fractions all the way around, only to be met by a 1-2 shot trained by the red-hot Chad Brown. She did nothing wrong, and hooked a much better filly. Same race, same style, and hopefully same price. She’ll give them fits from gate break to the wire. Reload (Aqueduct – 11/21/15 – Race #8 – #10 – one mile on the turf) – John Velasquez gave a solid effort stalking the leaders and made a strong move at the 1/4 pole. He was forced to swing three-wide, and made a good attempt down the lane to finish 3rd. – Johnny V. hooking up with “Shug” can be a good thing, and I think we’ll see an improved effort next out. 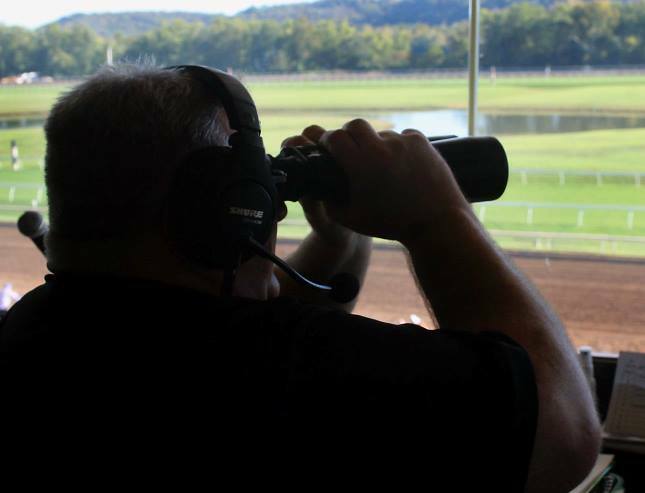 We Did (Aqueduct – 11/21/15 – Race #9 – #3 – 7f on the main track) – Francisco Arietta had the call for Leah Gyarmati. This runner was box cars at (77-1) and was pinched back hard at the start. After correcting his mount, he dropped over to the rail to save ground. At the top of the lane the rider shifted his runner into the four path, and ran an even race down the lane to finish 5th. – This may not be the next stakes winner you’ll see, but that kind of price is worth a real look to finish off exotics. – Give extra points if there is a rider change to a higher percentage boot in the irons. Island Therapy (Aqueduct – 11/28/15 – Race #6 – #1 – Mile on the turf) – Irad Ortiz had the call for the red hot barn of Rudy Rodriguez, and this runner was enjoying a picture perfect ride from Ortiz until the 1/4 pole. He had to take up and clipped heels as he swung three-wide for the stretch drive. A little better trip has him right on target. Voodoo Storm (Churchill Downs – 11/18/15 – Race #6 – #1 – 1 1/16 on the turf / 1 1/16 on the dirt) – Calvin Borel in the saddle for Joe Woodard fresh off the claim. Woodard wins (22%) off the claim, and he brought a runner who was claimed for the green. When it came off the turf and was contested on the main course. This became a big play back for a barn that is winning (24%) on the year and (57%) ITM. – Borel made a six wide move around the turn showing interest, but rolled it up on this day to finish 4th. – Right back on the greensward may be the answer. Pow Wow Pal (Churchill Downs – 11/18/15 – Race #9 – #13 – 5f on the turf / 5f on the dirt) – Albin Jimenez had the call, and the turf sprint was contested on the main track. This runner for the Wesley Ward barn angled off the rail nicely when the real running began. – The late kick was solid to finish 3rd, and I can’t wait until Ward brings his runner back to the turf. If the rider stays aboard, pay extra attention as he is one of the hidden gems in the saddle no matter where he hangs his tack. Mo Tom (Churchill Downs – 11/28/15 – Race #11 – #10 – 1 1/16 on the dirt) – Corey Lanerie in the irons for this son of Uncle Mo. He broke from the outside post and was dead last most of the race. As the field passed the 3/8th’s, he kicked into gear over the sloppy track and was flying along the rail. As they straightened for home he looked in fine shape skimming the paint and hit the rail about the 1/16th pole. – When two-year-olds have a set back like this, you can usually call it a wrap and wait til’ next time. – I can’t wait for Thom Amoss to bring this runner back to the races. Seek Again (Del Mar – 11/27/15 – Race #8 – #4 – 1 1/16 on the turf) – Jose Lezcano aboard for Bill Mott, and these guys know how to get a turf runner to the winner’s circle. In this G-2 affair, Lezcano had to put on the breaks at different times during the race. He is one of the most under-appreciated turf riders in the country and deserves a big time look the next time this runner takes to the greensward. Serbian Syclone (Del Mar – 11/21/15 – Race #4 – #9 – 5f on the turf) – Victor Espinoza had the call for Peter Miller, and saved ground and waited patiently. When he swung off the rail he looked to have more in the tank as the speed was unable to catch. Espinoza didn’t use up his mount, and saved plenty for the next effort out. – Be of the lookout for this tandem, and hopefully you’ll get near the price of (18-1) next time out. Red Zone (Fair Grounds – 11/28/15 – Race #9 – #2 – One mile and 70 yards) – Leandro Goncalves in the saddle for Jeff Thornbury. He was under a hammer-lock most of the race, and when he worked off the rail he had to take up in hand once again forcing him to slam the brakes on many times while in tight. – Give him half a path and he’ll make a direct path to the winner’s circle next time out. D’BUNNYPHONE (Race 5 at Aqueduct, Nov. 13, maiden claimer) – Expected pace setter lost best chance when stumbling badly at start. Was rank while 3 wide on the backstretch. Proceeded to make strong middle move, while again three wide on the far turn, but flattened out in stretch drive in race won by favorite. BLUE PIGEON (Aqueduct – 11/14/15 – Race #4 – #2 – 1 1/16 turf) – Jose Ortiz in the irons for Linda Rice, and their runner was “pocketed up” forcing Ortiz to step on the breaks taking a strong hold of his mount. He was in the “box” for a good portion of the race and had to wrangle back his mount wearing him down. – Once he slipped though late in the lane, he showed good acceleration after being wrangled back most of the race. – A cleaner trip has him right there next out. WAR DANCER (Aqueduct – 11/14/15 – Race #7 – #3 – 1 3/8 on the turf) – RIDER Jose Lezcano had the call for Bill Mott. These guys know how to bring a turf runner ready. He hit the stall briskly leaving the starting gate, and still established the lead. He was in hand and not asked for his best in the two path as the skilled efforts of Lezcano slowed down the fractions to his liking. When the real running began, he ran in lock step with a challenger and weakened in the late stages of the race. – When you have a tough exit from the gate, this can be a taxing effort to overcome. Lezcano is one of the best turf riders, and with a little better start, he’ll jump to the lead and put them sleep all the way to the winner’s circle. JUJU’S MOJO (Race 8 at Del Mar, Nov. 12, 2yo Fillies, 6 furlongs dirt) – Maiden claimer and 2nd time starter got an indecisive and overall poor ride from jockey Ty Alexander. Once she got clear sailing, she finished well for a sneaky good 3rd place showing. Trainer Phil D’Amato will her ready to win next time out. WALKABOUT (Churchill Downs – 11/14/15 – Race #5- #6 – 6f dirt) – This filly was a sweet 37-1 when the gates opened. – She was slow coming away from the gate, and this being her first effort as a two-year-old was a good learning experience. She angled off the rail to be in the seven path, and finished in high gear down the lane to finish third. – There is nothing like “baby” showing a good finish to get you chomping at the bit for her next trip out. Horse racing circuits are shifting ovals, and the turf racing countdown has begun for many tracks entering the winter months. Racing fans can don’t need a calendar. They can tell you what month it is by the tracks that open their doors. As leaves begin dropping from the trees and holiday commercials start appearing. There’s no need to worry. Thoroughbred action is hot all year long! In the meantime, here are a few goodies to get your inner-horse player cranked up. The runners listed below had a troubled trip, a bad break, or didn’t have the chance to give their best effort. For handicappers, anytime we identify troubled runners. They may make for an excellent wagering opportunity next out. Midnight Champagne (Belmont Park – 10/20/15 – Race #1 – #2 – 6f on the dirt) – Abel Castellano was in the saddle, as many big name riders were already at Keeneland for Breeders’ Cup. His filly broke outwards at the start, and checked up off heels at the 7/16’s mark. If there is a cleaner effort next up and possibly a rider change. Please pay full attention as the connections may have felt there could have been a better effort. Converge (Belmont Park – 10/30/15 – Race #7 – #10 – One mile on the turf) – Jose Ortiz had the call for trainer Chad Brown, and his colt broke from the outside #10 post. He spun 4 wide at the back of the pack adding to his distance travelled, and commenced a bid at the top of the lane. He was 7 wide down the lane and put in a very strong effort to finish second. – The field ran a mile in this race, and he may have covered a 1 1/16. If he is able to save ground at any point next out, he’ll be a tough customer. Trifecta (Del Mar – 10/29/15 – Race #5 – #4 – One mile on the turf) – James Graham was aboard, and he is a very solid turf rider. The charts read he couldn’t summon up the necessary response. But, as our late-friend Mr. Paul Harvey used to say; “And now for the rest of the story.” – He was forced to check- up off heels, and Graham had to steady at different times during the race. He floated out for run at the top of the lane, and still didn’t have a clear path. – Some runners just call it a day when forced to be driven, ridden, or stop their momentum. He was (16-1) on this day, and I’ll bet you’ll get just as much next time out. Officer Griffin (Keeneland – 10/30/15 – Race #1 – #2 – 6f on the dirt) – Corey Lanerie was in the irons for Joe Sharp, and his colt was slow away from the gate and soundly hit Bump Hard. Once he was able to regroup his runner, he had to wait behind runners as he was attempting to save ground and slide in between runners. he offered up a solid bid and finished 3rd on this day. The track was playing very fast and any hesitation can be the difference in running 3rd and winning. – Next time out he’ll benefit from this race. Fundamental (Keeneland – 10/30/15 – Race #4 – #3 – 1 1/8 on the turf) – Jockey Irad Ortiz had the call for Chad Brown, and his colt saved ground all the way around ready to kick in down the lane. He looked ready to roll at the top of the lane and was forced to check briskly at the 1/8th pole. This really took him off his game, and as Brown is his go-to-guy, you can bet he’ll find a smoother trip next out. Mshawish – Ran a very sharp race in the Forstardave Stakes until the last 70 yards. Not surprising, as it was his first race since late March, the tote board action was a little cold, and there are bigger fish to fry, like the $2 Million Breeders’ Cup Mile. The fact he showed some life after Dubai is encouraging, as many horses never come back from the trip. Certainly one to follow in the late summer and into Fall. Governor Malibu (Saratoga – 8/19/15 – Race #2 – #9 – 6f) – Joel Rosario had the call, and was bet down to (5-1) and beaten by a solid (3-5) shot. This fits the angle of “running a winner’s race and finishing 2nd.” – Todd Pletcher does very well with second up runners and if the first race is any indication, I think we’ll see plenty of upside with his second outing. Life Imitates Art (Saratoga – 8/22/15 – Race #6 – #5 – 1 1/16 on the turf) Irad Ortiz was in the irons for his go-to-man Chad Brown. They do really good work as a team, and this two-year-old led all the way around and was running green down the lane. – Ortiz couldn’t convince his mount to stop tossing his head about, and cocking it to the outside down the lane. He was bet down as the big chalk, and you can bet dollars to donuts that Chad Brown will have this all worked out for the next start. Oh, and after looking around and acting like a toddler, he only finished a neck back from the winner. I’m a Chatterbox (Saratoga – 8/22/15 – Race #10 – #4 – 1 1/4 on the dirt) – Florent Geroux had a rough trip, and his filly is ready for another chance to fight. – She lunged at the start and bobbled a bit, and in a quality field that can put out your lights quick. Once she got into the bit, she looked all systems were go until she was fanned out wide making her run. She lugged in down the lane and just couldn’t get to the winner on this day. – Most handicappers will dismiss her effort and look elsewhere. I’ll be keyed on her in a big way hoping for a better price and a cleaner trip. Como Luz (Belterra Park – 8/20/15 – Race #6 – #3) – There was a gate malfunction, and the #2 & #3 gates did not open on time. Como Luz was forced through the gates by his rider Christian Rojas after spotting the field about 15 lengths. He was far back in the field, and I dismissed the race to toss in the trash heap until they started nearing the 1/4 pole. – Como Luz had made up ground very quickly and finished strong to run third. 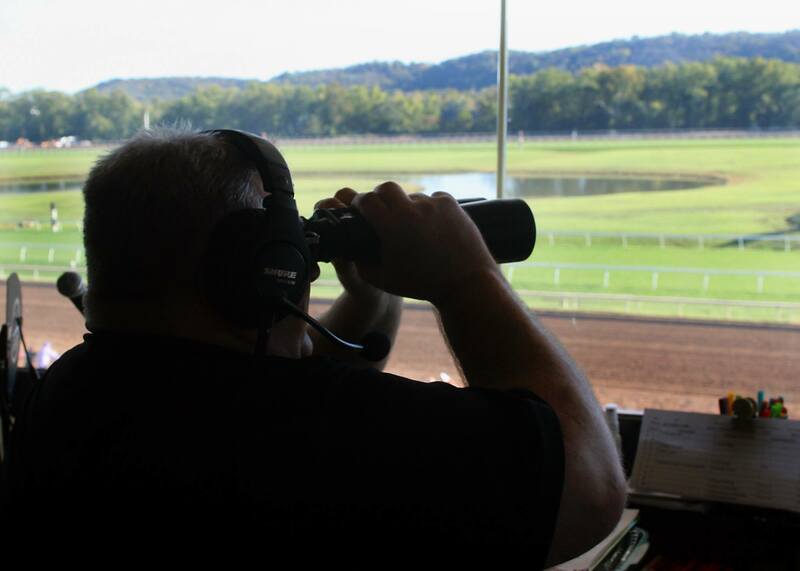 This handicapper is waiting to see the Angel Quiros barn wheel the runner back to the races. He appears to relish the oval, and after he was declared a non-starter. I’m going to dive deep into multi-race exotics to find value. Draw Nigh (Belterra Park – 8/22/15 – Race #6- #6 – 5f on the turf) – First off the layoff, and the colt was cutting back in distance and making the dirt-turf switch where the barn wins (25%). – He was in perfect striking position and was fighting to work off the rail. Perry Ouzts kept him in the pocket forcing him to seek a spot along the rail that never opened. The rider choked up on the reins, and appeared to wait for another day. I think that day will be his next start on the greensward.